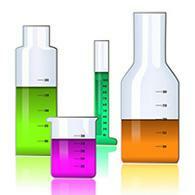 Chemistry of Tattoo Ink - What Chemicals are in Tattoo Ink? 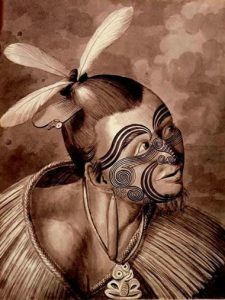 Many early tattoo inks were prepared using burnt wood ashes. The wood ashes were nearly pure carbon, which yielded a black to brown tattoo. 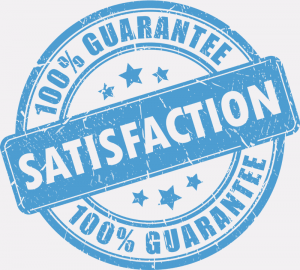 Today you can’t be 100% certain, as manufacturers of inks and pigments are not required to reveal the contents. A professional who mixes his or her own ink from dry pigments will be most likely to know the composition of the inks. However, the information is proprietary (trade secrets), so you may or may not get answers to questions. Most tattoo inks technically aren’t inks. They are composed of pigments that are suspended in a carrier solution. Contrary to popular belief, pigments usually are not vegetable dyes. Today’s pigments primarily are metal salts. However, some pigments are plastics and there are probably some vegetable dyes too. The pigment provides the color of the tattoo. The purpose of the carrier is to disinfect the pigment suspension, keep it evenly mixed, and provide for ease of application. What Chemicals are in Tattoo Ink? Some recent studies have been done to see the possible long-term effects of tattoo inks. These studies are few and far between but are the beginning of really getting to know the possible skin and health reactions to tattoos. Some fairly common reactions to tattoo ink include allergic rashes, infection, inflammation from sun exposure, & chronic skin reactions. These reactions could be linked to the presence of harmful chemicals in most mainstream tattoo inks. Phthalates and benzo(a)pyrene are two of the most harmful chemicals present, both having been linked to cancer and endocrine disruption. They can also be found on the EPA’s carcinogen list. Logwood Natural black pigment is made from magnetite crystals, powdered jet, wustite, bone black,and amorphous carbon from combustion (soot). Black pigment is commonly made into India ink. Napthol-AS pigment Iron oxide is also known as common rust. Cinnabar and cadmium pigments are highly toxic. Napthol reds are synthesized from Naptha. Fewer reactions have been reported with naphthol red than the other pigments, but all reds carry risks of allergic or other reactions. cadmium seleno-sulfide The organics are formed from the condensation of 2 monoazo pigment molecules. They are large molecules with good thermal stability and colorfastness. disazodiarylide Curcuma is derived from plants of the ginger family; aka tumeric or curcurmin. Reactions are commonly associated with yellow pigments, in part because more pigment is needed to achieve a bright color. Cu-phthalocyanine Blue pigments from minerals include copper (II) carbonate (azurite), sodium aluminum silicate (lapis lazuli), calcium copper silicate (Egyptian Blue), other cobalt aluminum oxides and chromium oxides. The safest blues and greens are copper salts, such as copper pthalocyanine. Copper pthalocyanine pigments have FDA approval for use in infant furniture and toys and contact lenses. The copper-based pigments are considerably safer or more stable than cobalt or ultramarine pigments. Dioxazine/carbazole Some of the purples, especially the bright magentas, are photoreactive and lose their color after prolonged exposure to light. Dioxazine and carbazole result in the most stable purple pigments. Zinc Oxide Some white pigments are derived from anatase or rutile. White pigment may be used alone or to dilute the intensity of other pigments. Titanium oxides are one of the least reactive white pigments. Tattoo ink consists of pigments and a carrier. The carrier may be a single substance or a mixture. The purpose of the carrier is to keep the pigment evenly distributed in a fluid matrix, to inhibit the growth of pathogens, to prevent clumping of pigment, and to aid in application to the skin. 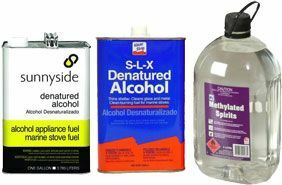 Following substances are used even they are toxic! There are many other substances that could be found in an ink. 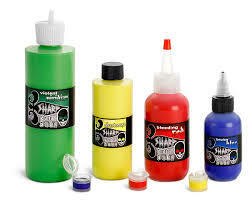 A tattooist has the choice of mixing his or her own ink (mixing dry dispersed pigment and a carrier solution) or purchasing what are called pre-dispersed pigments.